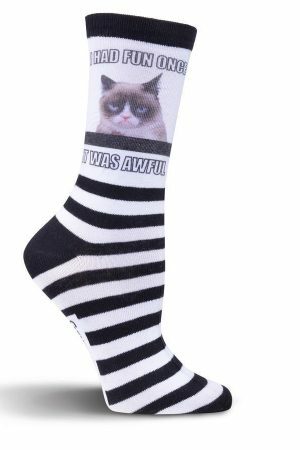 Embrace tacky in these Tacky Cat Socks Multi Grumpy Cat’® women’s socks! 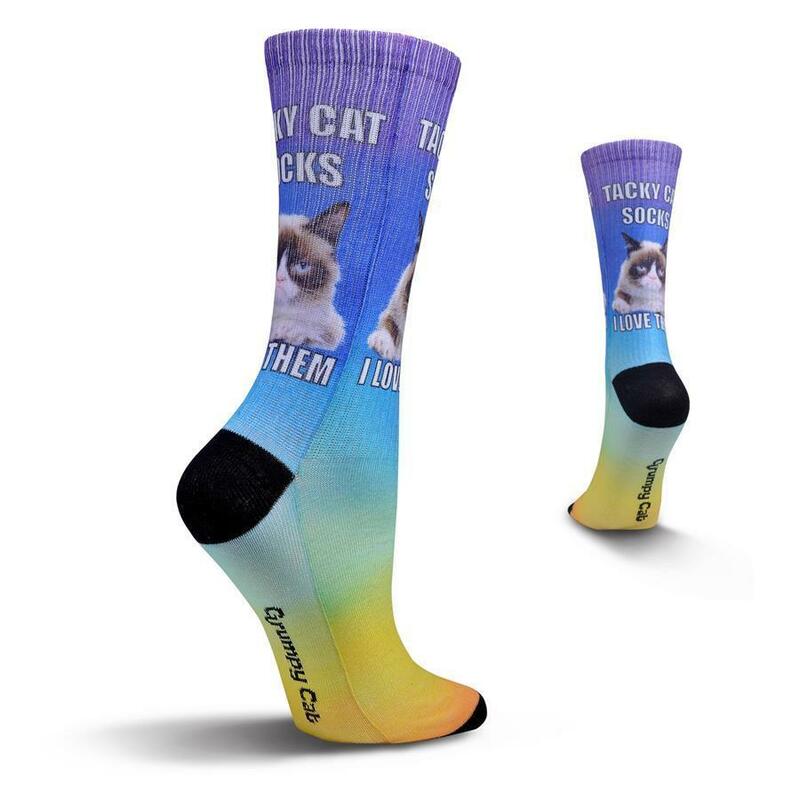 plus a Grumpy Cat’® meme graphic and ribbed black trim. 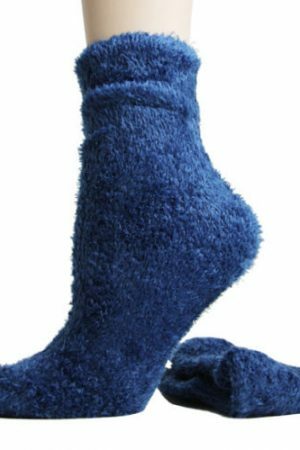 Fiber content: 98% Polyester, 2% Spandex.